Nubian Heritage is the brainchild of two New York street vendors. In 1992, fresh out of college and without jobs, Rich and Nyema embarked on a mission to produce luxurious natural products from traditional African recipes with organic and fair trade ingredients. 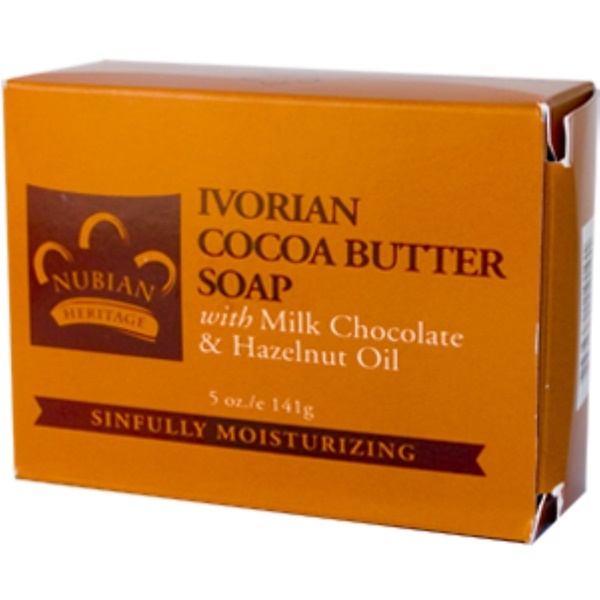 Today Nubian Heritage offers hundreds of culturally authentic natural products inspired by global ancient healing philosophies. Although Nubian Heritage products are no longer made in bath tubs, little else has changed, the company still makes its products itself, still uses fair trade and organic ingredients and still invests in community commerce. Heritage: La Cote d’Ivoire, situated on the West Coast of Africa, produces the finest quality cocoa beans in the world. Theobroma Cacao, the cocoa plant’s botanical name, literally means, “food of the gods”. Cocoa Butter, the nourishing and natural emollient derived the cocoa beans, is used in Africa and throughout the world to moisturize, soften and soothe the skin. This ultra-moisturizing cleanser gently exfoliates dead skin with a special blend of Hazelnuts. Shea Butter and Vitamin E are blended in to offer a super hydrating lather that helps to firm and maintain the skin’s natural elasticity. Antioxidant rich Vitamin E also helps to rejuvenate while Oatmeal works to soothe the skin. 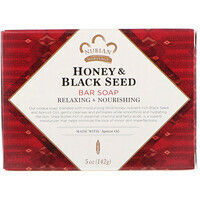 Decadent Milk Chocolate softens the skin while providing a rich aromatic experience. 100% vegetable soap: theobroma cacao (cocoa) seed butter, butyrospermum parkii (shea butter), coconut oil and/or palm oil, avocado seed butter, vegetable glycerin, hazelnut oil, milk chocolate, tocopherol (vitamin E), hazelnuts, oatmeal extract, mineral pigment or vegetable color.